FLOODING IN NASHVILLE: Reader Michael Bassham writes: “Flooding in downtown Nashville. This is at Rosa Parks Blvd and Locklayer, across from Farmer’s Market. 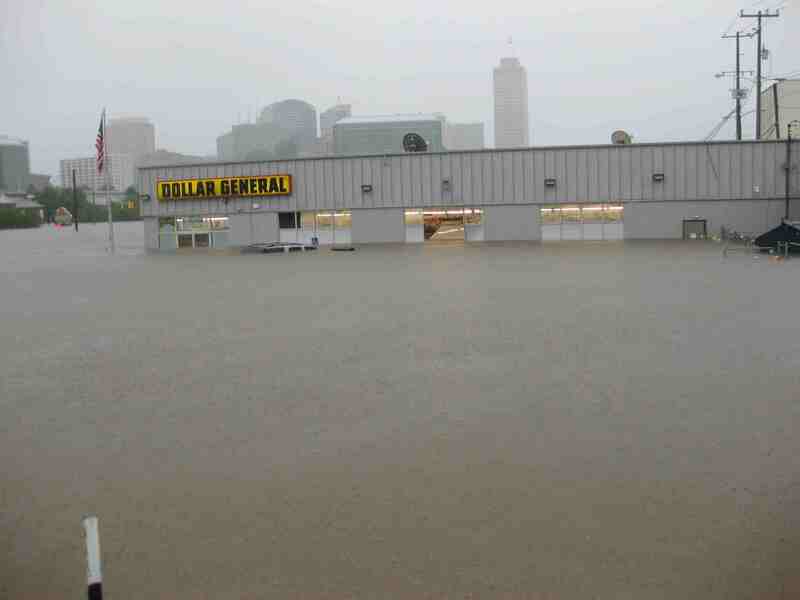 This is a block from my house.” Note the nearly-submerged SUV in front of the store. Thanks to the folks who’ve written worrying about me — but I’m not in Knoxville. I’m on travel and staying at a secure, undisclosed location where tornadoes do not appear to be a threat. UPDATE: The indomitable spirit of the Internet remains, er, indomited.